Household power consumption makes up 36% of the total electricity use in the United States, 33% in Europe and 20% in Asia. Because electricity is still mostly generated from non-renewable sources, it is responsible for 38% of the global carbon Footprint. What can you do to lower your electricity use? How about that thermostat? Depending on where you live, space heating or cooling can make up a significant portion of the average household energy consumption. 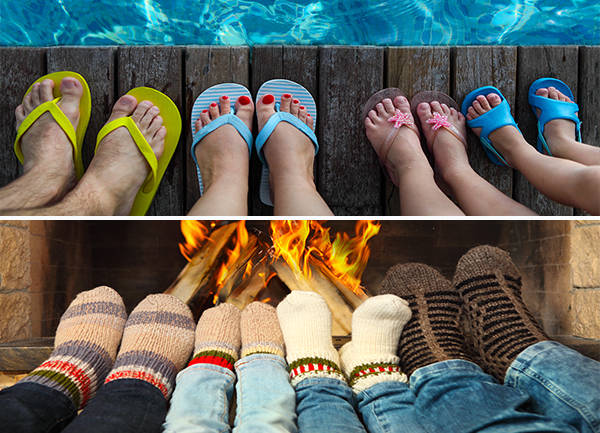 I pledge to invite the season into my home for a day by turning my thermostat up or down several degrees to save energy, to dress appropriately for the season outside and share a selfie. CLICK A BUTTON BELOW TO MAKE YOUR PLEDGE! WIN A GOPRO or CAMPING HAMMOCK! 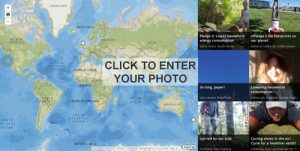 Enter to win one of three GoPro HERO Session cameras by adding a photo of yourself fulfilling your pledge to our Earth Overshoot Day Pledges map OR sharing the photo on social media with #pledgefortheplanet. 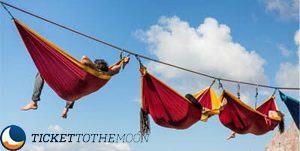 Ticket to the Moon has donated three camping hammocks to our photo contest! We will award three hammocks to the fourth, fifth, and sixth place winners.